If you run a commercial business in London, then you know how important it is to maintain a professional image. 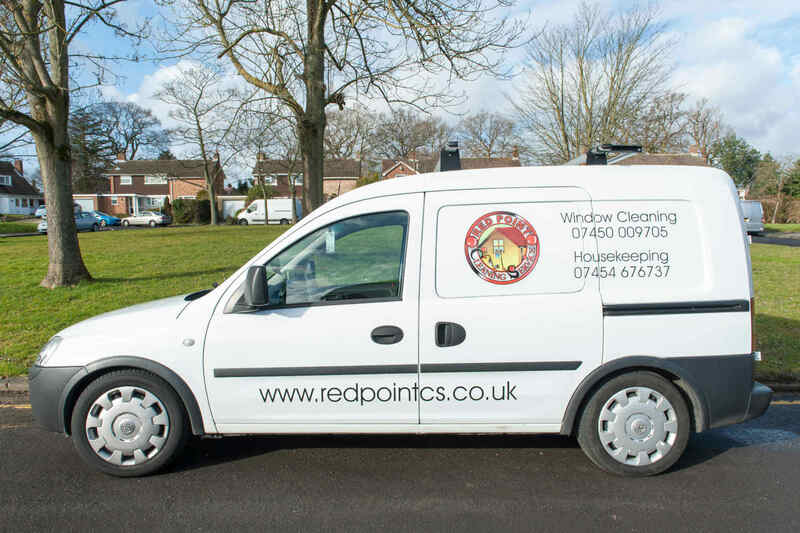 If your business depends on attracting new clients and new customers, then you’ll understand how important it is to create a good impression, and the best impression you can make begins with spotless windows that have been cleaned by us here at Red Point Cleaning Service. Choosing our commercial window cleaning service for your London based business will ensure your business stands out ahead of your competitors. 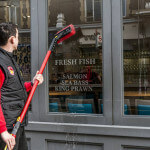 It’s still very much the fashion for commercial buildings to be mainly glass fronted, which is great news for us here at Red Point Cleaning Service as we like nothing more than to clean glass-fronted commercial premises until they shine. There’s a lot for us to do, and we are happy to say that we have a lot of very satisfied clients. In fact, we save a fortune on advertising as the best advertising we feel is to do the very best job that we can do and let word-of-mouth take care of the rest. 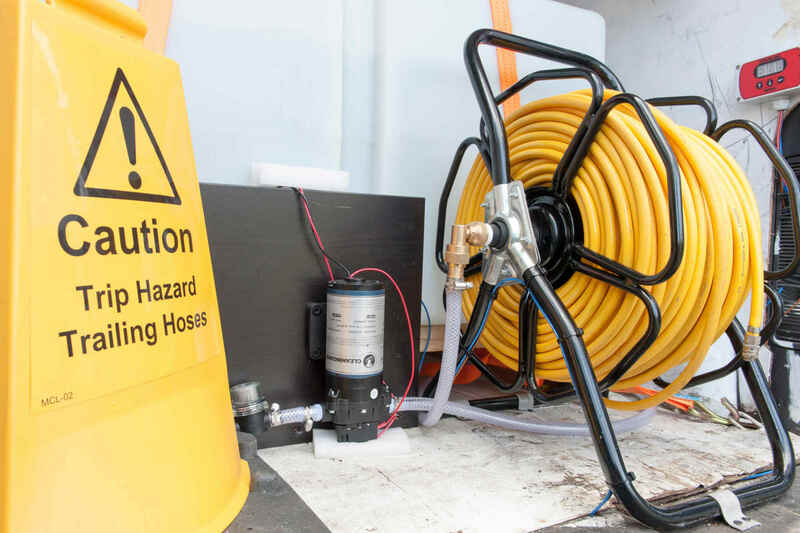 Every member of our team is trained to highest standards possible, and to rigorously adhere to all aspects of health and safety. We understand that in agreeing to clean a commercial building to the kind of standards we think are acceptable (i.e. as exceptional as possible) you need specially-trained staff, which is why we also train our staff to very high standards. 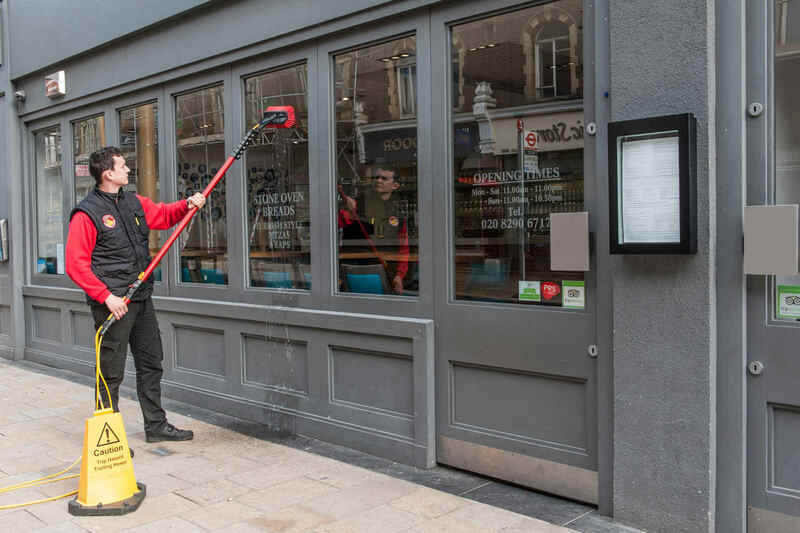 If you make use of our services, you can be rest assured that your commercial window cleaning job will be performed by people who are fully and expertly trained, and will follow our strict health and safety guidelines at all times. If you like, we can supply you with a copy of our health and safety guidelines, as well as full details of our public liability and employer’s liability insurance. We use all the most modern items of equipment when it comes to cleaning your windows, such as water-fed poles and purified water. However, just because we take this modern approach, it doesn’t mean we skimp on the traditional things that matter, such as making sure we do a thoroughly professional job. Not only will your windows shine as if they have just been installed, we will also make sure that the frames and sills are completely clean. By keeping all aspects of your windows clean, it will severely increase the lifetime of your installation. As well as cleaning your windows, we can offer a range of additional cleaning services. We cannot stress enough how important it is to keep your gutters free of debris – stagnant water attracts insects and all kinds of other unwanted pests, plus the overflows from blocked gutters can cause significant water damage to your building. If you hire us, we will completely remove all unwanted debris from your gutters so they function perfectly.